At Moocow, we’re constantly striving to make sure we’re ahead of the game when it comes to having the most up to date knowledge on the latest tech trends and SEO advice. When it comes to SEO, businesses and marketers alike can benefit from knowing the relationship between SEO and social media. Increased web traffic from social sites such as Twitter and Facebook can all have an influence on how well your site appears in search engines. It can also impact how social media profiles stand out in Google. Take a look at our tips to help enhance your social media to help boost your SEO. Make sure you are posting things relevant to your brand and just any old thing that’s trending on Twitter. Your followers follow you for one reason only – they’re interested in your brand. If you start posting off topic, you may find yourself losing out on followers. Keep it topical, you can still use themes that are trending but make sure you relate it back to your brand. 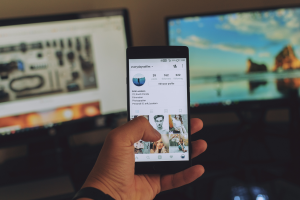 Videos, GIFs and memes are all great visual ways to get your audience interested, and they don’t need to be tacky just because it’s a GIF, you can get making your own easily online. Remember not to overdo it with the sales talk too, obviously you want to make sales, but you don’t want to bombard your audience with nothing but ads. your sites, get your content shared, and help boost each others posts. Guest blogs or social media takeovers are a great way to boost your brand to a larger following. You can also join in with group Twitter chats by adding a particular group hashtag to get your posts re-tweeted and talked about. When posting blogs, adverts or any other form of media, always remember to include a link to your site, products or another related external source. Branching out to profiles with a nationwide following can be great, but don’t forget to go local too, supporting and sharing with local companies can attract both attention and new clients if you’re working together within a local area.